The following players are playing lacrosse as listed and thanks for contributing to North Cascades Lacrosse! Click below Hanna's picture to read the wonderful article! 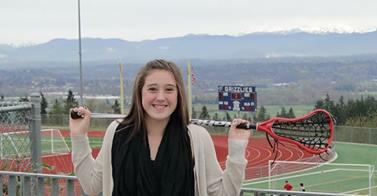 Glacier Peak High School 2013 Graduate played for Snohomish Lacrosse who plays attack, 2 year Captain and 2 time Academic All America plays for Western Washington University Club team. Amanda played with NCLAX summer 2013 and was a great leader for our teams!